Hello Everybody! Today is a good Monday morning (at the time of writing this post). And right now there are three Facebook tricks lingering in my head which I’ll very quickly share with you all. We all know when it comes to Facebook tricks, everyone of us gets excited. Because Facebook is such a huge company with its web application of the same name and then there are Millions of tricks unknown to us. But don’t worry I’ll share every trick I know in each and every future posts. Below are some simple Facebook tricks no one tells you because most of them don’t know it either. After you finish reading this post I know you won’t be one of them. All eyes on the screen and here we start. Let me guess! You already know that you cannot open locked Facebook Profile Picture. 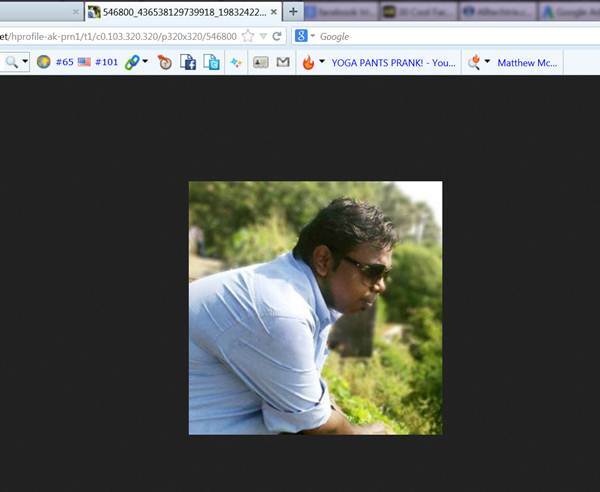 Using Facebook Privacy Settings, any Facebook User can lock his Profile Picture i.e. DP as known in Pop Culture. Lets take for example, John has a crush on Jenny, he likes viewing Jenny’s Facebook Pictures but unfortunately John isn’t Facebook Friend of Jenny. 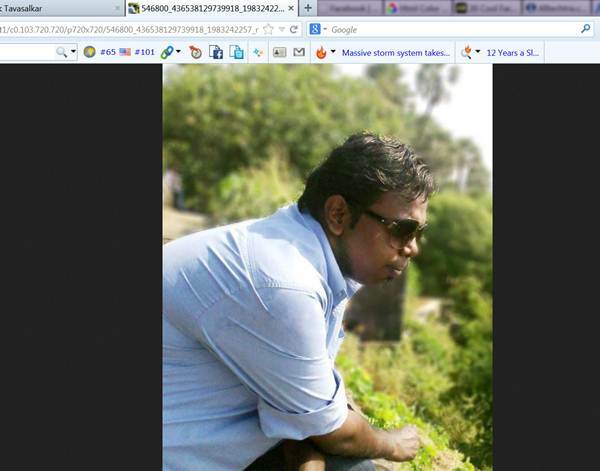 Now Jenny uploads a beautiful looking profile picture of her; which John cannot view in fullscreen because its locked. Now what should John do? If your situation is somewhere near or far away from John, let me tell you this amazing Facebook Trick that displays Jenny’s Profile Picture (or the one you wish to view) in Full Resolution. To display this Facebook trick I will be using my own Facebook Account. Using someone else’s might offend them (real reason: I just want to gain a little popularity 🙂 ). Open a new tab inside your Browser; right-click on the address bar and hit paste. Now that you’ve pasted the URL; hit Enter. The Facebook Profile Picture will be displayed in its original size as seen on your Facebook Profile Page. Now just make one tweak to the URL inside address bar as highlighted here. After making these changes the profile picture enlarges and takes the dimension you specified in the URL. The secret of the trick is; when you change the value c0.103.320.320/p320x320 to c0.103.720.720/p720x720, dimensions of the image are changed. Previously the image dimension were 320px by 320px (width X height) but the current dimension is 720px X 720px. I generally recommend using a dimension of 1000px by 1000px which usually displays the whole profile picture. You can add any value but keep the pixels same throughout. I think you easily got this trick, now lets move on to other two Facebook Tricks. Take a deep breath and pat on your back because you’re about to learn something new here. Every account on Facebook has two passwords. No don’t worry Facebook isn’t cheating you by keeping an alternate password for your Facebook Account. Just to not let you know about your mistake Facebook has this two password feature. Nothing some sort of rocket science. Lets consider your Facebook Account Password is ‘ShadowMonkey’ or something like ‘JohnCena123’. Usually you will enter your email id and password; as it is, to log into your Facebook account. But what if you entered the email correctly and then unknowingly hit ‘Caps Lock’ and type password. Conventional Wisdom says, Facebook won’t let you log in. But that’s not true; You will still log into your Facebook Account. SURPRISED! Yeah! you should be. This was the second password I am talking about. One your original password, other the one you type when CAPS LOCK is on. So instead of ‘ShadowMonkey’ you type ‘sHADOWmONKEY’ OR ‘jOHNcENA123’ instead of ‘JohnCena123’ you will still log into your Facebook Account. For a couple of years, one new feature update that happened to Facebook’s Image App is the theatre effect. Whenever you click on an image, it is displayed like this. Now what if I tell, You can disable this effect. Yeah you can with just a simple tweak. All you need to do is reach out to the image url and remove ‘theatre’ from it. 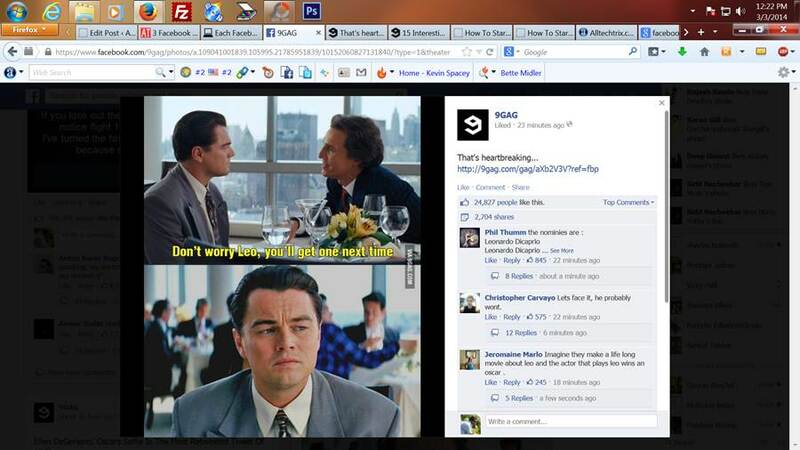 Just remove ‘theatre’ from image’s URL and you will get Facebook’s Long Forgotten Image App Interface. I hope you enjoyed the article. If you did; then don’t forget to show us some love by sharing it on social networking sites like Facebook, Twitter and Google. If you have any problem with any of these trick; let us know in the comments section. If you tried them then let other readers on AllTechTrix know your experience. We love to hear from you guys. 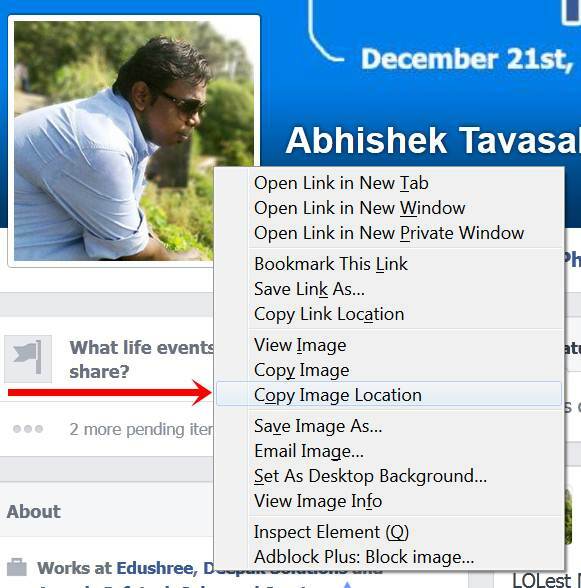 Really, I had no clue about these cool Facebook tricks everybody should check them out. Nice article, thanks for sharing. Yes Rahul they’re very cool. I’m glad these tricks got you excited. great article no words to speak. Thank You Saikiran for the feedback. Anyways buddy next time; when you comment, do try to be a little more expressive. Thanks for you comment Shubham!